Going left on Screen 8 will take you back to Screen 5. 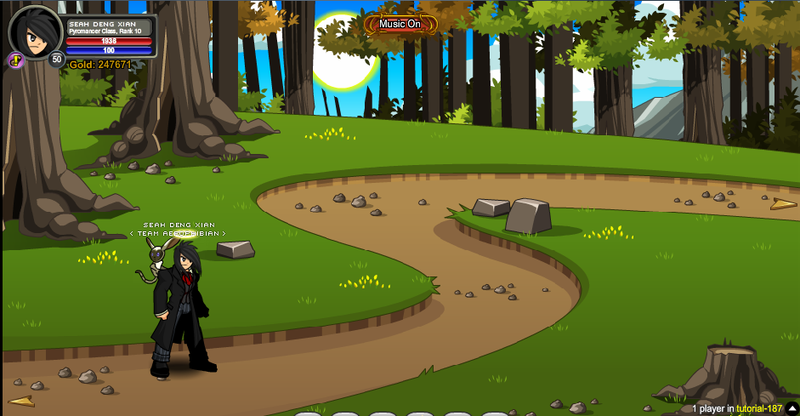 Entering screen 5 from the right will cause no monsters or NPCs to appear. Click the Music Button to turn the music on/off. Thanks to Cris2444, DXSeah, ShadowWhisperer and Tendou no Mazo.